Cleft lip and palate is a condition by birth in which there is a split between lip and palate. This condition may also involve nose. 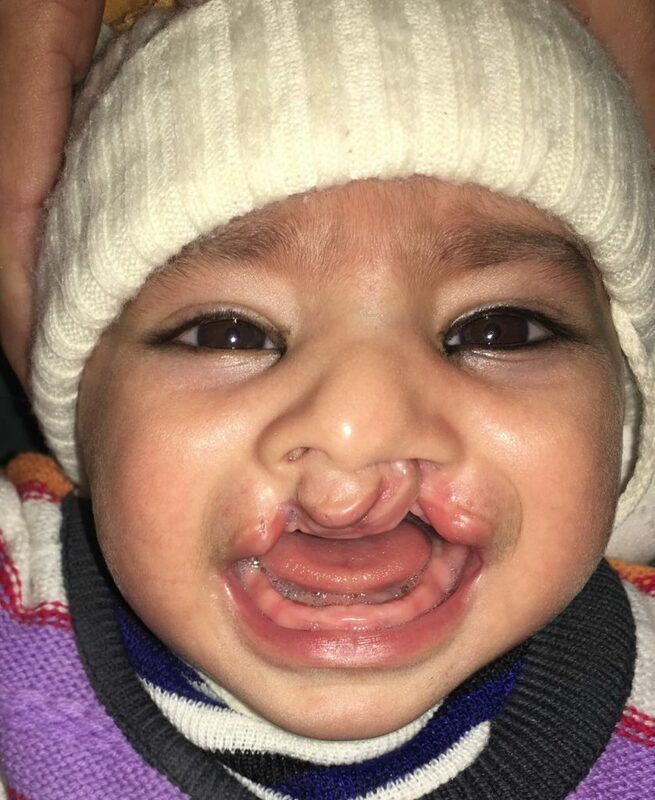 Incidence of cleft lip & palate is around 500 per live births in Pakistan.1 Which is considered to be high especially in northern areas of Pakistan. These conditions require multiple surgeries especially in childhood stage. 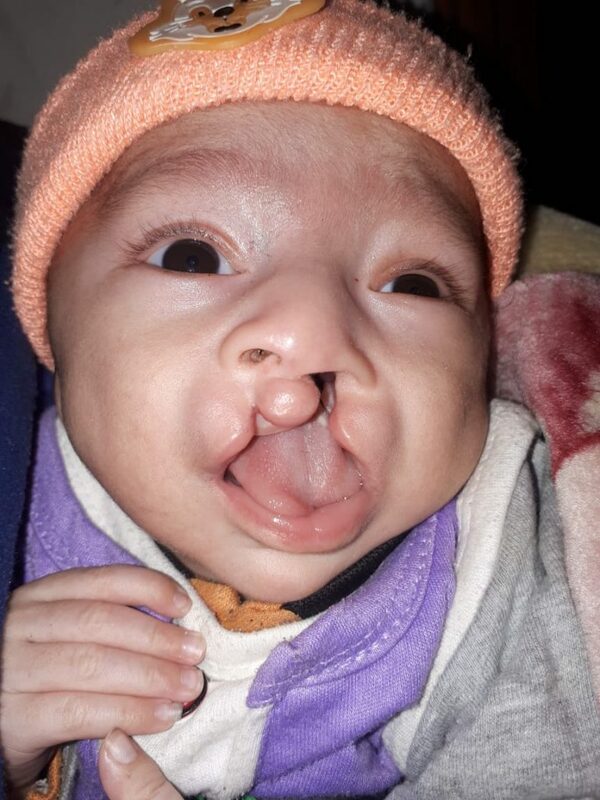 We offer cleft lip, Palate surgery at affordable cost in Lahore, Pakistan. Cleft lip and palate can be diagnosed during pregnancy by ultrasound especially during 18 to 21 weeks. After birth it can be seen by physical examination. Treatment of child starts soon after birth. Its treatment requires multidisciplinary approach. Child should be examined soon after birth to rule out other associated abnormalities. Orthodontic treatment like tapping or nasoalveolar moulding may be required in initial weeks after birth to narrow clefts.To know more about orthodontic treatment. Ideal age for cleft lip repair is 3 months.Especially if child has normal weight.Rule of 10 is followed to determine exact timing of surgery. Rule include 10 week age, weight 10 pounds and 10 gram hemoglobin.6 Cleft lip should be performed by trained plastic surgeon. Surgery may Take 1 to 2 hours. This surgery is performed in general anaesthesia. Child can go home same or next day. * Images intended for patients education. Same results not guaranteed in every patient. Cleft lip surgery cost in Lahore, Pakistan varies from 60 to 90 thousand depending whether unilateral or bilateral. To Get Appointment from Doctor Saleem plastic & cleft surgeon. Contact now +923445203650 Whatsapp, IMO. Cleft palate repair is performed at age of 1 to 2 years. Surgery should be performed at this age to avoid speech problems in Later life. This surgery tend to improve speech & feeding problems. 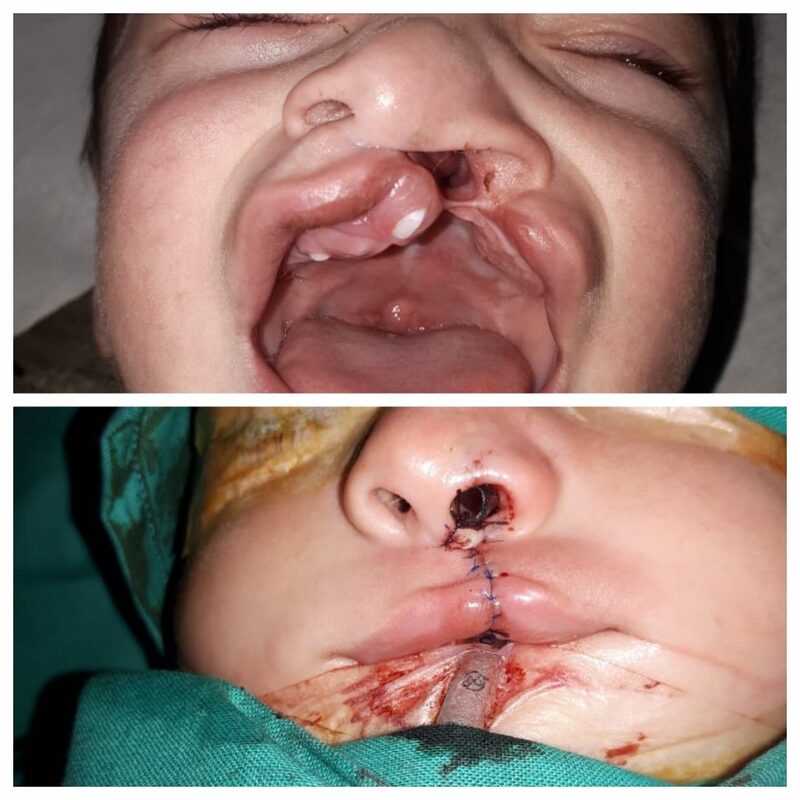 Cleft palate surgery cost in Pakistan, Lahore range fr0m 75 thousand to 1 lac rupees. To book appointment for cleft palate +923445203650 Whatsapp, IMO. Cleft children have nasal speech. And it sometimes difficult to understand their words. It occurs because of Velopharyngeal insufficiency. To correct this abnormality speech therapy will be effective.5 Surgery will correct separation of palate. Speech surgery should be performed at 3 to 4 years of age. These children may require surgery for dentition. Ideal age for dentition surgery at time of teeth eruption around 7 to 9 years. Teeth abnormalities. These children may require rhinoplasty at puberty. Cleft rhinoplasty is different from routine cosmetic rhinoplasty. In some cases rib cartilage may be required. To know more about Rhinoplasty surgery. Cleft children frequently suffer from jaw abnormalities. Jaw correction can lead improvement in facial appearance. To consult for cleft lip and palate repair surgery & its cost, side effects. Contact now. +923445203650 Whatsapp. 1.Plast Reconstr Surg. 2004 May;113(6):1548-55. 4.Shi, M.; Wehby, G.L. ; Murray, J.C. (2008). “Review on Genetic Variants and Maternal Smoking in the Etiology of Oral Clefts and Other Birth Defects”. Birth Defects Res., Part C. 84 (1): 16–29. doi:10.1002/bdrc.20117. PMC2570345. PMID18383123. 5. Trost JE (July 1981). “Articulatory additions to the classical description of the speech of persons with cleft palate”. Cleft Palate J. 18 (3): 193–203. PMID6941865. 6. Lydiatt DD, Yonkers AJ, Schall DG (November 1989). “The management of the cleft lip and palate patient”. Nebr Med J. 74(11): 325–8, discussion 328–9. PMID2586685.